Would you ever make an impulse decision for a $30 per-person activity based on a billboard you just saw immediately after a 10-hour family road trip to Pensacola Beach? Well, this Traveling Mom did and it worked famously. While there are plenty of things to do in Pensacola, this unique activity will impress both you and the kids! When I was researching the best things to do while we were in Pensacola Beach, I kept coming across dolphin cruises. But we have been there and done that already as a family. While my husband and I really enjoyed ourselves, my kids asked more times than I could count when the boat ride was over. I knew that we needed to do something different this time. On our dolphin cruise my children were 2 and 4 and I think it traumatized us because we haven’t set foot on a boat since! It was difficult to navigate with our kids at those ages because neither wanted to sit still or in one spot. 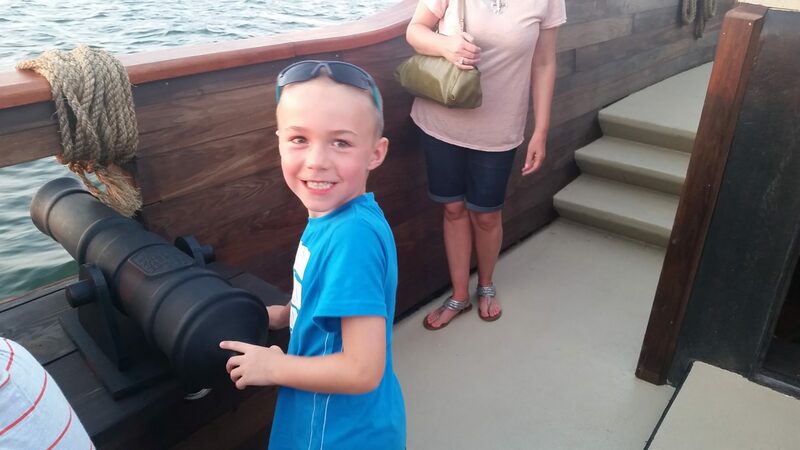 It was a trip that was clearly better suited for older children.My 4-year-old is, quite frankly, difficult to take on things like a boat because if he decides that he wants to get off, it can get ugly quickly. Just being real, ya’ll. Taking that fact into consideration I knew that whatever we chose to do needed to be as kid-friendly as possible. Pulling into town after our long 10-hour drive from Kentucky a billboard caught my eye and I knew that I had found the solution to my dolphin cruise dilemma.The Pensacola Pirate Ship! I have 2 small boys (ages 4 and 6) so there is always room for pirates in our lives! Don’t write it off if you have older children, we saw many families with varying ages of kids in their group. Even the eye rolling teenagers seemed to be secretly enjoying the trip. 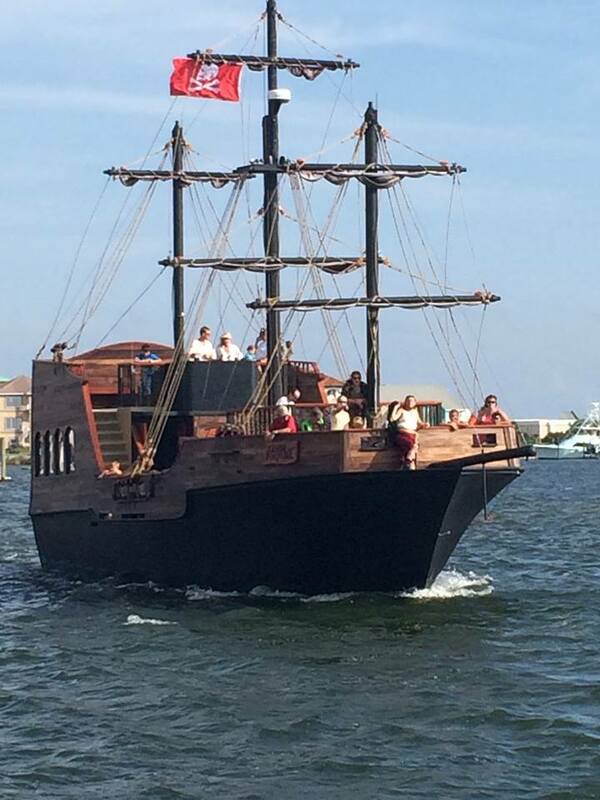 The Pensacola Pirate Ship make a big impression. Photo courtesy of Allison Taylor. To be honest, I was a little skeptical about what the experience would be like. Sometimes these types of themed attractions can be cheesy. However, this adventure was nothing but fun from the very beginning!We noticed the ship as soon we pulled into the line for the toll to get into Pensacola Beach. My kids were chatting about it excitedly in the back seat. The ship really makes a huge impression on kids and adults alike! We opted to walk from our hotel and grab dinner and then head to the boat. This isn’t a bad idea, especially since there is quite a lot of traffic in the area and parking is at a premium. However, don’t make the same mistake and cut things too close time wise! The boat was just about to pull away as we came running up! I don’t do so well rushing, so it took me a moment to pull myself together! As soon as we stepped on board the ‘pirates’ took an interest in my children, asking and actually learning their names. 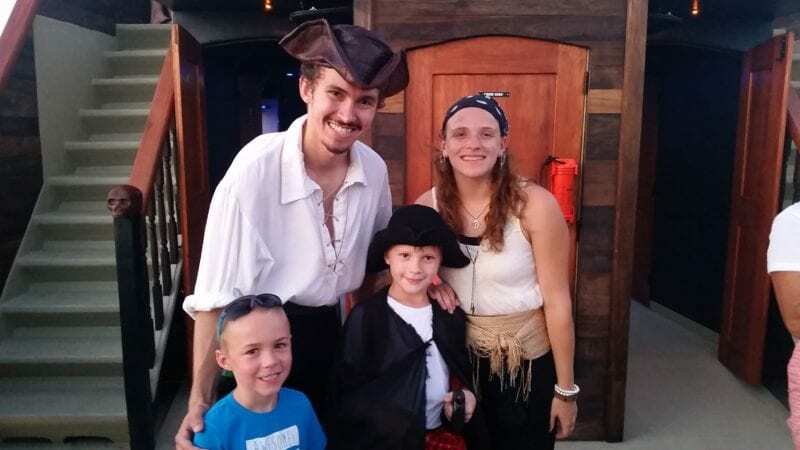 Which earns huge brownie points in my book!In speaking with Travis, the owner of the Pensacola Pirate Ship, his main objective was to let people know that the goal is to allow kids to have fun and parents to relax. After all isn’t that what a vacation is all about? The ‘pirates’ are local college-aged students from the acting school. They were so fantastic with all of the children on the ship. I am sad that I didn’t catch the name of the school because they truly were doing a fantastic job.The kids were entertained from the time that we got on the boat until we ended our adventure. Which by my watch was about 1 hour and 45 minutes. Kids will love being able to play pirate on the Pensacola Pirate Ship. Photo courtesy of Allison Taylor. The kids started out learning how to talk and walk like a pirate, learning silly jokes and walking with pirate authority. Next came the water gun fight, parents were encouraged to participate in this activity as well! All good pirates need to clean up from making a mess on the deck of the pirate ship, so kid sized mops were handed out. I have never seen my kids so eager to clean! Pirate themed games were next on the agenda and they were very cute! The activities ended with (foam) sword fights. 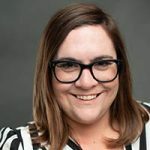 My kids are often timid in situations where they are asked to get in line to participate in activities and more often than not they are overlooked and don’t always get their turn. This was not the case on the cruise. I was so impressed with how well the staff kept track of which kids hadn’t yet had their turn. My husband and I discussed during the cruise that it would absolutely be possible to enjoy the cruise without worrying about the kids. We stuck pretty close to the kids the whole time opting to watch them participate in the activities.If you don’t have kids or someone you know is headed to the area without kids, there is plenty of space to enjoy the cruise free from kids. My husband fell in love with the incredible craftsmanship of the boat. Everything was thought out down to the carvings of skulls at the bottom of the stair railings. It was constructed just for this project and the attention to detail was unreal. The sunset view from the Pensacola Pirate Ship is spectacular! Photo courtesy of Allison Taylor. The Pensacola Pirate ship sells concessions like sodas, beer and wine for a very reasonable cost. I paid $1 for a canned soda. My kids were excited to purchase some souvenirs on the ship as well. There are 3 cruises per day Monday – Saturday, weather permitting. With sailings at 9:30 am, 3:30 pm and 6:30 pm. We took the 6:30 time slot, the sunset provided a fantastic backdrop to an already amazing evening. The tickets are $30 for adults and children ages 3-12 were $28.00. While this may seem a little pricey believe me when I say it is totally worth the cost. If you decide to give it a try, let me know!